Organic Make-Up, Why Is It Beneficial? There are now an increasing number of people who choose greener living by going organic, that is, looking for organic options to alternate not only their conventional food and household cleaning stuffs but also their skin care products. Therefore, it is not surprising to know that today, even make-up has organic counterparts. Why is there a need for organic make up? Not knowingly, around 60% of cosmetics we use can be absorbed by our skin. And because we use them almost every day, they can result to chemical build up in our body that will eventually lead to health problems. So switching to organic make-up means a safer choice. What makes a make-up organic? For a make-up to be considered organic, its ingredients should undergo minimal processing, should be extracted naturally, and should at least be 95 % organic. Also, it should not contain artificial preservatives and synthetic chemicals. 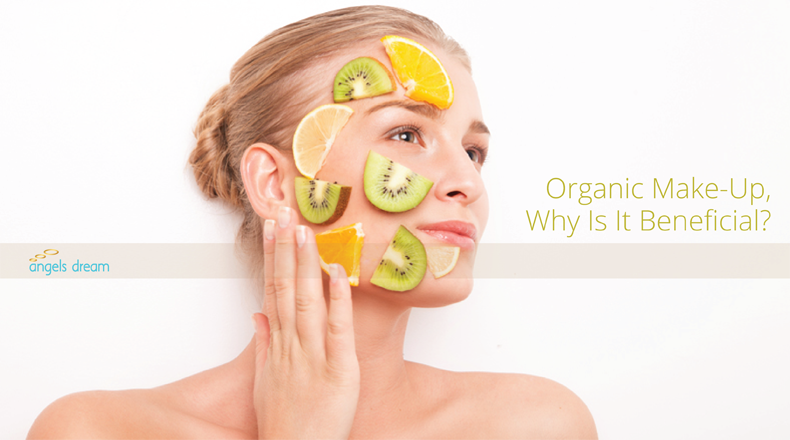 Why is an organic make-up beneficial? Because organic make-up doesn’t contain toxic substances, it lessens the chemical products in your body. So they reduce the risk of being prone to health problems. Other conventional cosmetics are linked to many health issues, like that of deodorants linked to breast cancer. There have been studies indicating that aluminium and parabens are present in deodorants that if used extensively, will accumulate in the breast, and will then lead to cancer of the breast. Another is the body lotion linked to skin problems like allergies, dermatitis, burning and itching. This is because of the benzophenones and oxybenzone chemicals present in sunscreen lotions. In addition to that, it is safer to use organic cosmetics or make-up. Because they are naturally produced and ingredients are organically grown, they have no harmful side effects. Therefore, you can free yourself from the negative effects brought by the traditional cosmetics – allergic reactions, skin damages, flaking of the skin, risk of cancer, immune system and liver issues. Lastly, organic cosmetics or make-up are much more effective because they are still rich in needed nutrients of the skin, like essential vitamins and minerals. So, why settle for cosmetics or make-up that leads to health problems or skin issues if you can be both healthy and pretty in a more natural way? Consider going green, switch to being organic. Why are we Home to the Best Facials in Singapore? Have A Good Hair Day, Everyday!